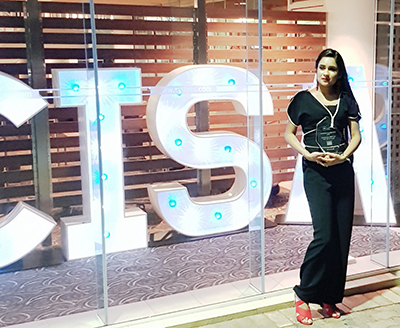 On Wednesday, 27 June, Box Hill Institute’s Bachelor of Commerce graduate, Rheea Busawon was awarded with the 2018 VET/TAFE International Student of the Year Award from the Council of International Students Australia (CISA). CISA is the national peak student representative organisation for international students studying at all levels in Australia and its awards this year were held in Cairns. Rheea said, “Being CISA International Student of the Year is a big honour and means a lot, not just to me but also to my parents. Winning the award is my way of saying thank you for believing in me to my family, my lecturers, and the support system at Box Hill Institute, in particular, the Commerce department and the International team. Box Hill Institute awarded Rheea with International Student of the Year for 2017. This experience motivated Rheea to apply for the CISA award. “Winning the International Student of the Year scholarship at Box Hill last year made me believe in myself more. It was my last semester and also my first and only opportunity to be nominated as International Student of the Year nationwide,” she said. Rheea aspires to be an entrepreneur and build a business empire with her mother, who is her biggest inspiration and hero. Rheea would also like to acknowledge the support from her homestay hosts and considers her host, Caroline Caroll “like an Australian mother to me”.